It’s a Bear’s World: a review of the Bear-B-Q Picnic on Saturday 18 June, with photos. 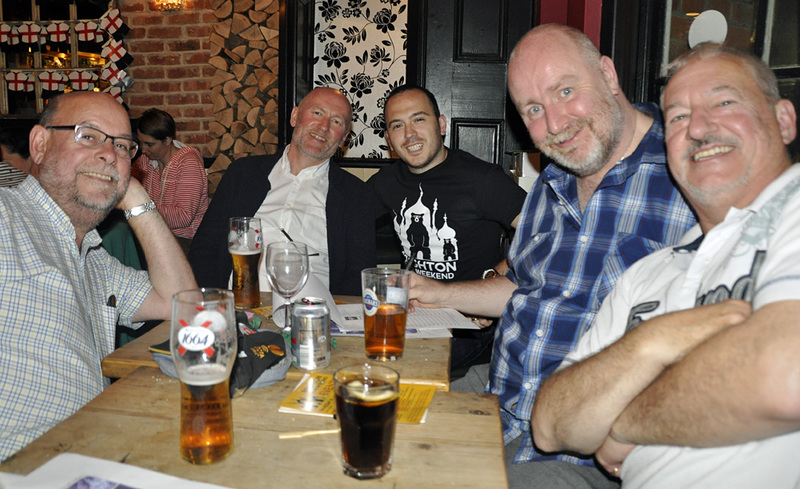 Bear’s quiz night raises £320 for Rainbow Fund: the results of our big quiz at the Camelford Arms on the first night of Brighton Bear Weekend 2016. Well, what a weekend that was! Brighton Bear Weekend 2016 was a total blast, with hundreds of visitors from the UK and around the world enjoying a great weekend of parties, food and drinks, music and dancing. We’re still recovering after all that fun, but check back here soon for loads of updates. In the meantime, look at our Facebook page for the latest news and photos! Also, please note that our online shop is down for maintenance while we restock, but limited quantities of our t-shirts, polo shirts and (new!) vests will be available there soon. We’ll let you know when! Brighton Bear Weekend won a special Community Fundraiser Award at the city’s annual Golden Handbag awards on Sunday 12 June. We really had no idea it was coming, and were stunned but very happy when it was announced! 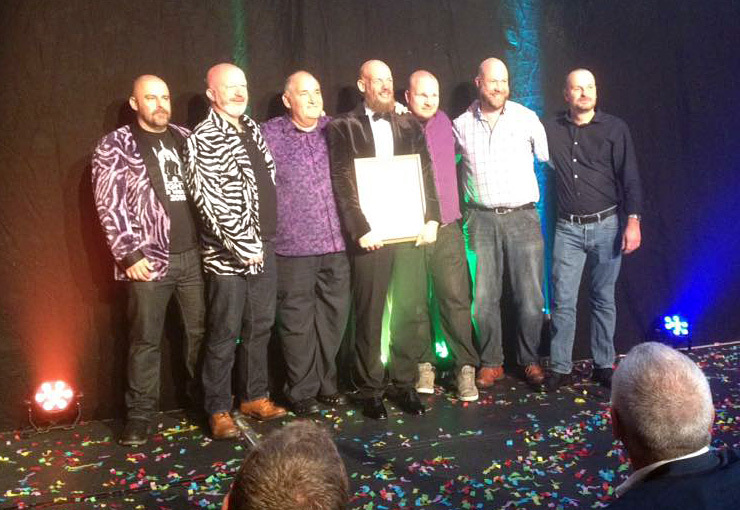 The award was presented by James Ledward, founder of Gscene magazine and long-time LGBT campaigner in Brighton and Hove. 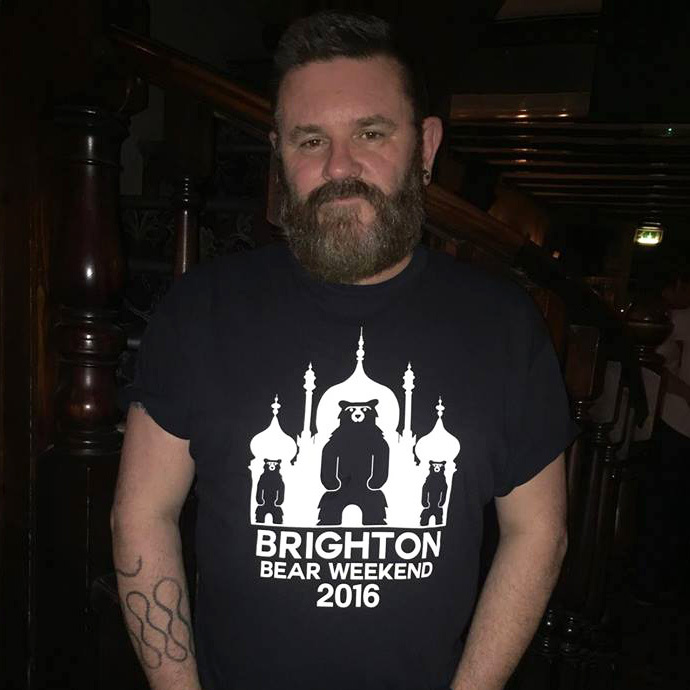 We asked James about his life, his work, and his thoughts on Brighton Bear Weekend … you can read the full interview here. In the last of our blog series before the big weekend, we interviewed three of the Brighton and Hove Sea Serpents rugby players (Ian Chaplin, Byron Todd and Ian Shepherd) about rugby, bears, and their plans for the weekend. You can read their interviews here. We also talked to Wayne Shires, who runs the popular Brüt club night in London, about their co-hosting the men’s zone and tent at Brighton Pride in August. Read the interview here. We were on Radio Reverb again on Thursday, together with Gary from Lunch Positive who will be providing the food at the Bear-B-Q Picnic. We talked with host Kathy Caton about our final preparations for Brighton Bear Weekend, food, drink, and more food!